Explore the incredible Maldives aboard our exclusive luxury yacht. Picture-perfect tropical islands, azure water, swaying palms, amazing marine life, perfect waves. Design your own adventure with us. 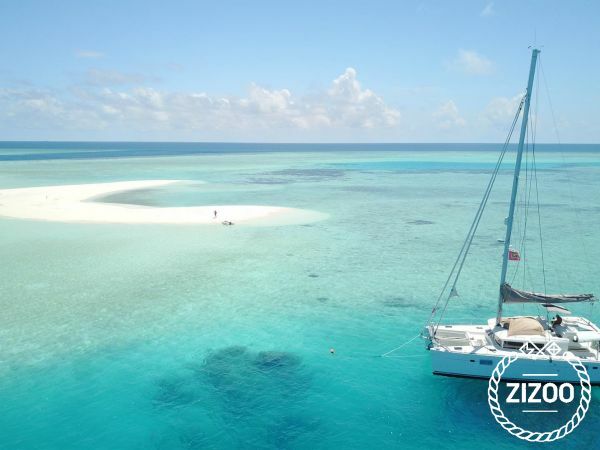 Our stunning 45ft catamaran is the perfect way to experience paradise. Ideally suited to the discerning traveler who enjoys life's little luxuries. Perfect for couples, families or small groups of friends, she is rented on an exclusive basis with professional Western staff. She can accommodate up to 6 guests sharing the 3 double cabins. Please note our minimum rental period is one week. Longer stays are welcome. Charters start and end in Male, but we can also offer fly in/fly out charters anywhere in the Maldives (surcharge applies). Shantaram is beautifully fitted out and so much more than a "normal" charter yacht. Come & adventure with us!